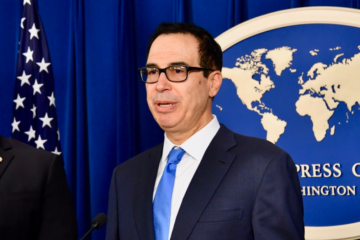 copies of all records concerning authorization for and the costs of Treasury Secretary Steven Mnuchin’s use of a government plane to travel to Lexington, Kentucky on Monday, August 21, accompanied by his wife Louise Linton. 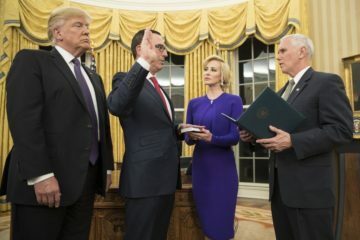 copies of all records concerning authorization for and the costs of Secretary Mnuchin’s use of a government plane for any purpose since his appointment as Treasury Secretary. The requested records would shed light on the justification for Secretary Mnuchin’s use of a government plane, rather than a commercial flight, for a trip that seems to have been planned around the solar eclipse and to enable the Secretary to secure a viewpoint in the path of the eclipse’s totality. At a time of expected deep cuts to the federal budget, the taxpayers have a significant interest in learning the extent to which Secretary Mnuchin has used government planes for travel in lieu of commercial planes, and the justification for that use. 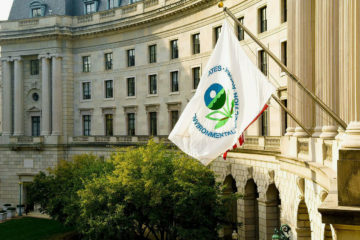 Update: On September 11, 2017, CREW filed a lawsuit against the U.S. Department of the Treasury following the latter’s failure to respond to CREW’s Freedom of Information (FOIA) request for records. Read more about our lawsuit here. Update: On March 15, 2018, CREW received records which, though heavily redacted, showed that Mnuchin apparently abused his access to military and non-commercial aircraft for both business travel and occasional personal travel. Click here to read CREW’s report about the records. The responsive records are available at 1, 2 and 3. Secretary Mnuchin has encouraged the President to pardon Michael Milken. His advocacy on Milken’s behalf and then acceptance of a flight with him raises ethics questions.